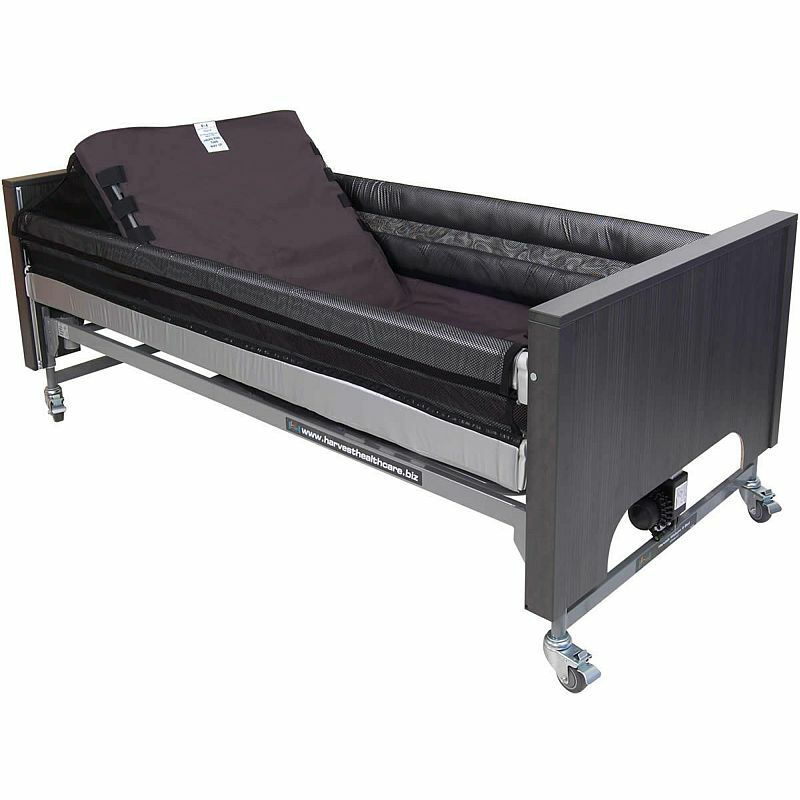 For many patients, there is a high risk of injury resulting from limbs becoming tangled in the side rails of their bed. 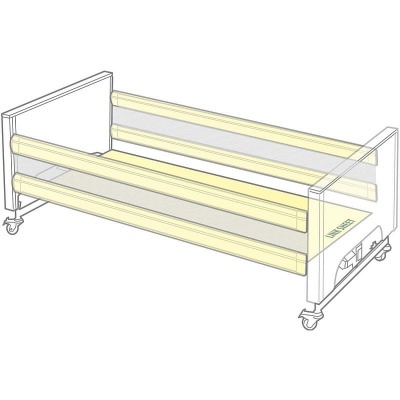 The Harvest Two Bar Anti-Entrapment Bumpers with Net Inserts and Link Sheet are designed to prevent this from occurring, and also soften any impact between the patient's body and the rail. This product is especially effective for those at high risk of entrapment, in particular patients with senility or Alzheimer's disease. These bumpers are snug fitting, designed to fit over each side rail with netting in between. The link sheet forms a barrier between the patient and the bed's mechanisms, decreasing the likelihood of entrapment. The link sheet is elasticated, allowing for versatile profiling of the bed. The bumpers are made with Silvosan anti-bacterial vapour-permeable material, which allows the product to breathe whilst protecting it from any spillages or urine. The bumpers fit tightly to ensure maximum safety, and have zip fastenings for ease of use.